Having worked and played in land-based casinos for many years, I fully understand the glamour, the excitement and the unique atmosphere they provide. Yet whilst more and more land-based casinos are being closed down, online casinos are thriving. The advantages of playing casino games online are numerous and in this article, I will go through them all. And of course, for a completely objective review, I will also present the advantages of playing at real casinos. If you have only ever played in a brick and mortar casino, the advantages of playing online will soon become very clear to you. When it comes to convenience, game selection, table limits and numerous other aspects, real casinos simply cannot compete with online casinos. In the following section, you will find a breakdown of each of the benefits of playing online. Brick and mortar casinos fall far behind when it comes to game selection. At online casinos, you will find hundreds of games to choose from. You can play progressive slots with jackpots worth millions to be won. There are also plenty of other types of games, including roulette, blackjack, poker, scratch cards and many more. Online casinos also provide many innovative variants of classic games too, which add even more excitement to gaming online. You will also find that you can try out most games for free when playing online, so you can brush up on the rules and perfect your skills before playing with real money. A huge plus of playing at online casinos is that you can play your favourite games whenever the mood takes you. Internet casinos are open round the clock and available from the comfort of your own home. Furthermore, with the fantastic selection of mobile casinos now available, you can even play on the go. When you consider the time and costs involved in journeying to a land-based casino, you cannot deny the convenience that online gaming provides. 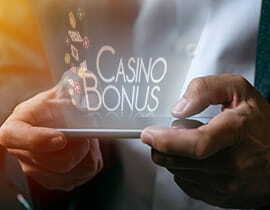 There is so much competition in the online casino industry that operators offer generous bonuses to encourage you to join. There are also plenty of promotions and special offers that keep rewarding you as you play. By taking advantage of special deals, you can boost your bankroll and play for longer. Many online casinos also boast loyalty schemes with enhanced bonuses and exclusive offers to reward players for their custom. The costs of running an internet casino are much lower than those of a real casino. As such, operators are able to offer much more appealing RTP’s on their games. Whilst certain games, such as roulette and blackjack have set rules, and as such, the RTP is usually the same, in games such as slots, you can see significant differences when playing online. Payout reports are published on casino websites, and these can often exceed 97%. This is a much better deal than you find in land-based casinos which, in turn, gives you a better deal. A night out at a casino can be an expensive affair. Casual players and beginners may find the betting limits a little high for their style of play. However, when you play online, you can bet for pennies on a wide range of games. Online operators cater to all types of players, and you will also find limits that reach high enough to suit even the most experienced of high rollers. Whatever type of player you are and regardless of your budget, you will find betting limits that are tailor-made for all. In order to play real money games online, you will need to make a deposit. The great news here is that online casinos accept a wide range of payment methods. You can deposit using a credit or debit card, with an e-wallet, such as Neteller and PayPal or through bank transfer and prepaid options. There are even some online casinos that allow you to pay through mobile phone billing. Transactions are quick and safe, enabling you to start playing your favourite games instantly. 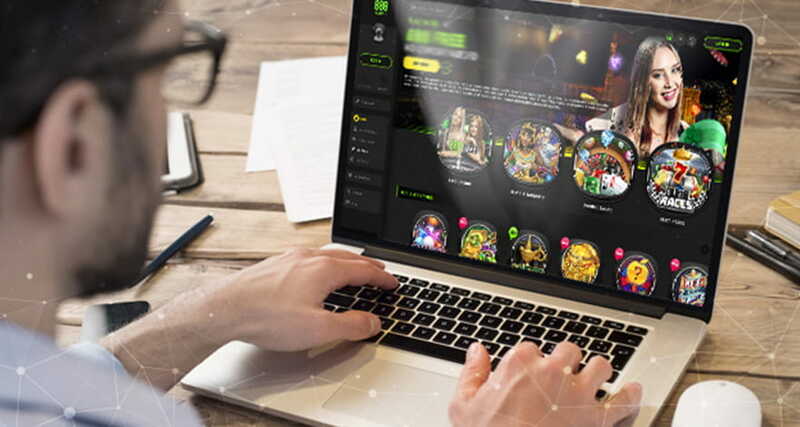 Whilst there is no disputing the plethora of benefits that come from playing at online casinos, you cannot deny that land based casinos also have their own advantages. Otherwise, why would people keep playing at them? Here are the key highlights of playing at real casinos. The atmosphere of a land-based casino is hard to recreate online. The dealers, the other players, the glamour of the place creates a buzz and a unique experience. However, live casino games do go some lengths to bridge the gap between the online and land-based experience. Playing games with real dealers, with whom you can chat to as you play does provide the closest experience of the real casino experience. 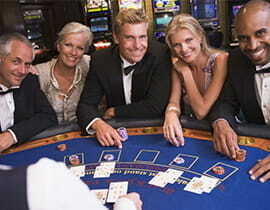 Of course, the real casino atmosphere is one of the main reasons why people continue to play at land-based casinos. When you win at a casino, you can cash in your chips and walk away with your winnings instantly. This is not possible when playing online. Owing to processing times attached to different payment methods, it can take several days for a withdrawal to be credited to you at an online casino. In fairness, this is not a major inconvenience, but still, it is one area where real casinos perform better than online ones. When you go for a night out at a casino, you can mix and interact with other people. It is a fun environment in which to chat to new people. Of course, you can participate in multiplayer games online and live games, where you can chat with others, but it does not provide the same social experience as face to face interactions. If you want to be in with the best shot at winning real money, then online casinos are the obvious choice. They offer hundreds of exciting game variants, with a low house edge, which you can play anytime and anywhere. Plus, you can take advantage of lucrative bonuses and promotions, giving you great value for money. Yet land-based casinos have their own unique appeal. If you want to meet new people, let your hair down and experience a thrilling night out, then real casinos tick all the right boxes.